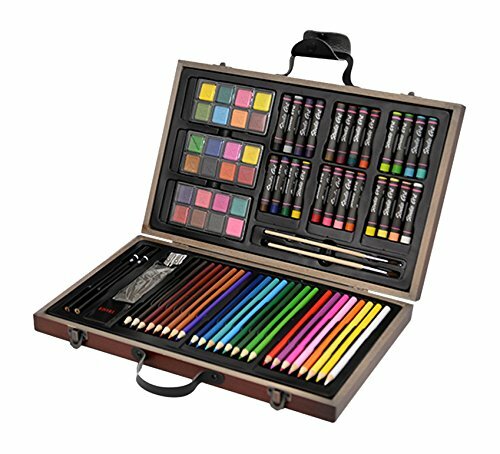 About product: painting set in a wood box, including 24 watercolor cake,2 pencil sketch,24 crayons,2 paintbrushs,24 colored pencils,1 sharpener,1 eraser. Perfect gift for a child. Brand: conda brand since 1993 the series is giftedness& professional products. Bring you joy through painting is our highest honor. If you have any questions about this product by CONDA and Kiddy Color, contact us by completing and submitting the form below. If you are looking for a specif part number, please include it with your message.